Tangerine is one of the very first orange heirlooms grown here. 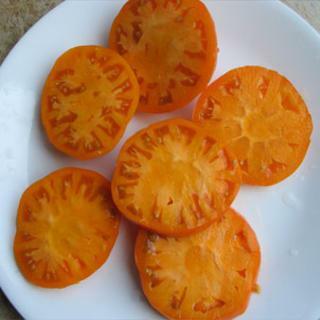 Beautiful, bright orange tomatoes are tasty and have a little zip for an orange variety. Heirloom Seed Packet. Tangerine is one of the very first orange heirlooms grown here. Beautiful, bright orange fruits are tasty and have a little zip for an orange variety.